Over the years, with an increasing gap between the need for and supply of new leaders, many organizations have had no choice but to (best case) rapidly promote high performers or (worst case) fill the slot with a warm body. The result? Poorer initial results and a lack of organizational preparation to support their new leaders with the learning and resources they need to succeed. If that scenario sounds familiar to you, then leadership development and succession planning is important to your organization. Sign up now and learn from one of the top 100 Leadership Thinkers in the world, as recognized by Inc.com. 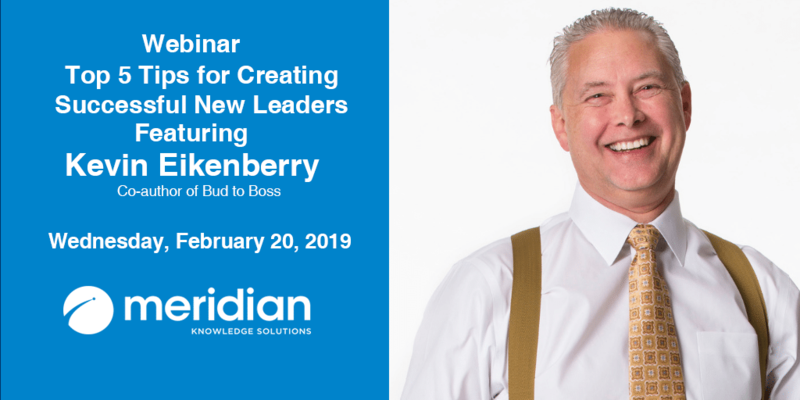 Kevin Eikenberry is co- author of the best-selling From Bud to Boss: Secrets to a Successful Transition to Remarkable Leadership. He has also consulted and helped numerous organizations with this important subject.